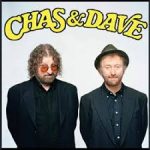 Enjoy Celebrity Radio’s Chas And Dave Exclusive Interview…. 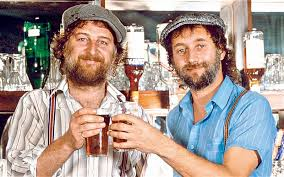 Chas Hodges & Dave Peacock are the world famous Cockney singers who know how to bang out a pub tune Big-time! 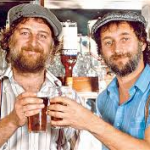 Chas and Dave are an English pop rock duo, most notable as creators and performers of a musical style labelled “rockney” (a portmanteau of “rock” and “cockney”), which mixes “pub singalong, music-hall humour, boogie-woogie piano and pre-Beatles rock ‘n’ roll”. For a time, “Rockney” was also the name of their record label, and they achieved several British chart hits, their major breakthrough being “Gertcha” in 1979, which peaked at No. 20 in the UK Singles Chart, and was the first of eight Top 40 hit singles the duo played on. 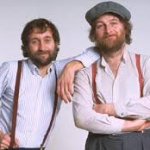 Hear Chas & Dave rabbit with Belfield in a rare, exclusive and in-depth interview. 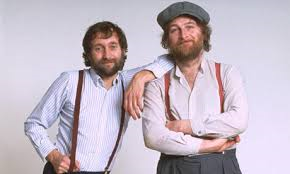 On 6 October 2008, their autobiography, Chas & Dave – All About Us, written by Hodges, was published in the UK. It is reported that it took him a quarter of a century to write. It was announced in September 2009 that the pair would no longer be working together as Peacock planned to retire from the band following the death of his wife Sue. However, In June 2010, it was announced that Chas & Dave would reunite for one final tour in 2011. They also played their “Christmas Jamboree” at the IndigO2 on 23 and 24 December 2011 and 8 December 2012. It was announced on 4 October 2012 that they would be the sixth act announced to play Rebellion Festival, as part of their last tour. Their subsequent “Back By Demand” tour of the UK occurred between February and May 2013. In October 2013 they released That’s What Happens, their first studio album in 18 years. In July 2014 Hodges appeared in the first episode of Graham Fellows’ BBC Radio 4 comedy series John Shuttleworth’s Lounge Music. On 19 October 2014 the official website announced the death of Mick Burt, their original drummer until his retirement in 2009.